Ton Pentre got the 2016/17 Welsh League Division One season off to a fine start as the Bulldogs picked up all three points in an competitive encounter at Ynys Park against Penybont. Debuts were handed out to four players with Lee Phillips’ Bulldogs squad drawing heavily upon local talent. One of those making his debut was Corey Shephard, who joined in the summer from Newport County, and the midfielder was quick to make his mark when he gave Ton Pentre a 9th minute lead. The goal was a result of some lovely build-up play as Leon Jacka passed inside for James Dury who spread the play into Adam Lewis’ run on the right wing. Lewis sent a perfect cross into the penalty area where Shephard jumped above the Penybont defence to head the all past Rhys Wilson in goals. Less than ten minutes later Ton Pentre doubled their lead when striker Sam Small cut in from the right and and went past several defenders who failed to make a challenge on him before calmly slotting the ball in the back of the net. It had been an impressive start by the Bulldogs as Penybont struggled to deal with their expansive play, however, the Bridgend-based club began to get themselves back in the game as the half progressed. Their response to going 2-0 down must have been welcomed by new Penybont manager Rhys Griffiths – his first season in a managerial role after many years of topping the goalscoring tables in the Welsh Premier League – as by half-time they’d levelled matters with Ton Pentre. In the 29th minute Penybont capitalised following some lacklustre play from the Bulldogs that saw Cullen Kinsella set-up Marcus Griffiths to make it 2-1. The same pair combined once again in the 40th minute with Griffiths netting his second following a period of pressure on Ton Pentre. At this point the Bulldogs were longing for half-time in fear of seeing their opponents completely turn things around. The game was more even through the early exchanges in the second half but Ton Pentre were beginning to gain momentum and the home advantage in this fixture began to become apparent as the Bulldogs dug deep to show some excellent character. Rob Blatchford decided to take a long punt at goal in the 62nd minute, a sign that the Bulldogs were becoming more adventurous, but his well hit effort was matched by an excellent save from Wilson who tipped the strike over the crossbar. Ten minutes later more great play from Ton Pentre resulted in Small being presented with another chance to score. Once again, Wilson denied the Rhondda club with a fine save stopping Small from bagging a brace. The Bulldogs were now looking the most likely to find a winner and they did just that in the 80th minute when Rob Blatchford went on a fantastic run that saw him outpace several defenders before placing the ball inside the far post having avoided the sprawling Penybont goalkeeper. 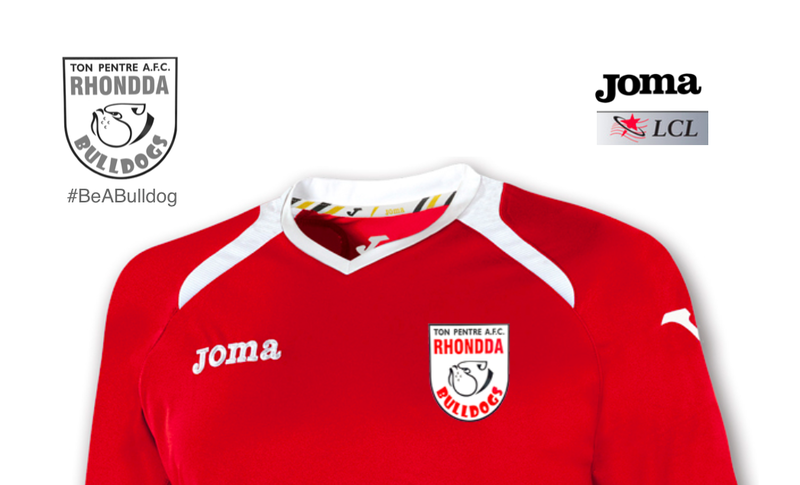 Ton Pentre welcome Monmouth Town to Ynys Park for their next match on Saturday, 20 August at 2.30pm. 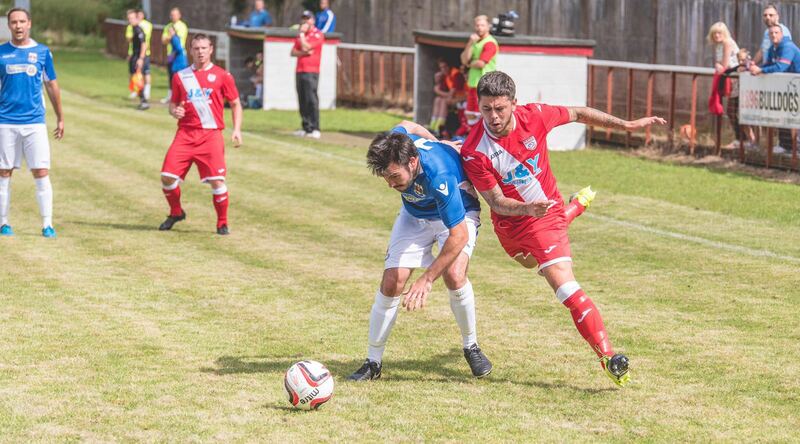 The Kingfishers lost their opening game after going down 1-0 at Caerau Ely and will play in the Nathaniel Cars League Cup on Wednesday (17 August) at Cambrian & Clydach Vale. Meanwhile, the Bulldogs have more time to recover from their opening day match having received a bye in Round 1 of the competition. TON PENTRE: Cael Jones; Adam Lewis; Gavin Morris; Scott Hayward; James Dury (Hitchcock 83’); Liam Hutchinson (Captain); Andre Griffiths; Leon Jacka; Sam Small (Adam Hawkins 87’; Corey Shephard; Rob Blatchford. Subs not used: Phil Clarke; Daniel Hurton; Lee Williams.